Background: Every year, hundreds of people in British Columbia receive an organ transplant at one of the province’s three transplant hospitals. But the need for organ transplants is growing as our population ages and more people are affected by diseases that affect organs. Unfortunately, many people pass away while awaiting a transplant. Working in collaboration with the regional health authorities and provincial partners, BC Transplant (BCT) is focused on increasing the availability of organs for transplantation in British Columbia. BC Transplant oversees all aspects of organ donation and transplant across BC. This organisation also manages the BC Organ Donor Registry. 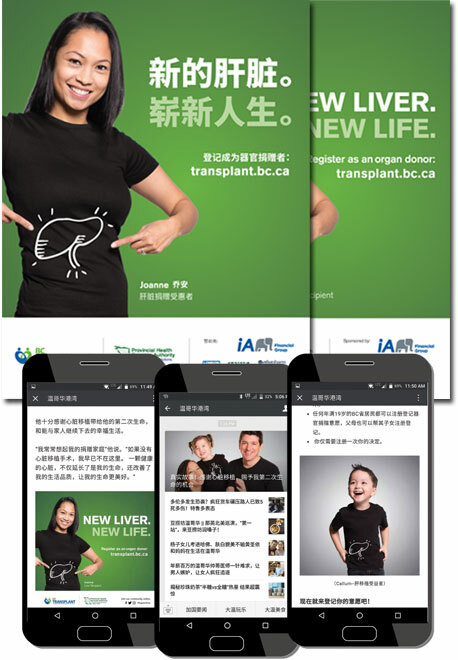 Our Work: We assisted BC Transplant by executing a Chinese language campaign. 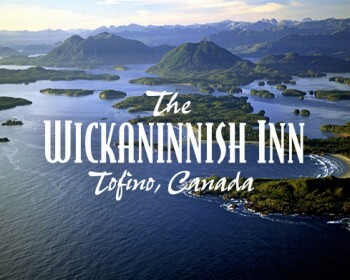 Our Vancouver multicultural advertising team recommended a print and digital campaign – the latter was mobile focused and utilised E-newsletter and WeChat mediums. We provided copy-writing in Simplified Chinese for the WeChat article as well media buying, and reporting for the overall campaign.